Link development has been a key SEO tactic for as long as Google has been doing its thing. Spending on SEO hit almost $70 billion in 2017 and the industry is expected to continue skyrocketing until at least 2020. A good portion of this spending is going toward link development. Why? A quality backlink profile is one of the three biggest factors for Google’s algorithm. This should answer your question as to why there is so much focus on them. What we haven’t answered is the “how”. 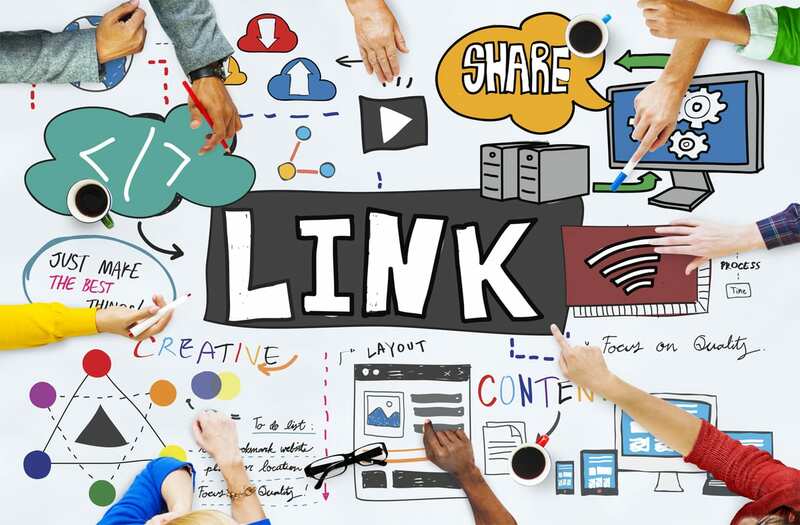 Keep reading for 8 link development strategies that can be a game changer for your rankings. The white hat way to build links is to earn them. How do we accomplish this? It’s simple but not easy. And what we mean by this is you need to create the best content in your industry. If it’s truly the best, and you share on your social media pages, other people will read it and share. They’ll talk about your piece of content in their own content, and link back to your for citing purposes. This is the golden goose of link building and it’s what we all shoot for. Many people suggest going after long-form content exclusively. The longer people are on your site, the higher your “time on page”, which is a small ranking factor for Google. Most importantly, people have a tendency to link more often to longer forms of content. However, not everyone likes it. So you should have a clever mix of short, long, and video pieces so you can make everyone happy. This is another tried and true way of building out your profile. It’s also tedious. If you have the time and patience, this can be huge. What you’ll do is use a piece of software, such as Check My Links or a premium package, to go to various websites that are related to your own niche or industry and you’re going to scan their site for broken links. If you find one, you’ll email the webmaster of the site and inform them of the broken links. Because you’re such a nice person, you’ll suggest a few links that would make a great substitute. Your website should be on the list and it should be better than all of the other options. Guest posting is not dead. Sure, contributing to the Huffington Post gives you no-follow links, but a no-follow link from a DA 90+ site is infinitely better than follow links from a bunch of no-name bloggers with a DA of 20. Talk to other bloggers in your industry. Establish relationships and make friends. You’ll be surprised at how often people are willing to trade link for link. Video content is amazing for SEO and link development, as long as it’s done properly. YouTube is owned by Google and a search engine itself. This is why YouTube videos frequently show up in your regular Google searches. If you’ve watched a tutorial or two, they all say pretty much the same thing. You want to ask people to subscribe and like. This is all fine and good, but you have a website and you want some conversions. Place a link to your site in the video description and mention it at least twice in the video, as most people will not watch every piece of video content in its entirety. You’ve probably seen in other marketing articles that you should be finding out where your target audience is located and then go there. This includes places like social media, message boards, and Facebook groups, just to name a few. You should also join groups that consist of others in your niche and industry. Once you’ve established relationships within these groups, if someone asks for a piece of content on a certain subject, don’t hesitate to tell them about something you have on your site, provided it’s relevant. You’ll be surprised at how often you receive backlinks this way once the snowball starts. What is HARO and how is it related to link development? Help a Reporter Out is a website for journalists who are always looking for a quote. They send out emails multiple times a day with people who are looking for information from experts on certain topics. Reply to the email, talk to the journalist, and if they use your quote, you’ll likely receive a link going to your site. It’s a win-win for everyone and these links can add up. Most of them are for high DA sites which will boost your own DA. Sponsoring a scholarship or charity is a great way to grab some quality links. Edu links are hard to come by for most businesses and they carry some of the strongest weight around. Charities and events are similar. You’re doing a good thing for your community and people are going to want to talk about it and share it on social media. While this will cost you a little in the short run, the long-term benefits far outweigh them. This is a personal favorite of Brian Dean from Backlinko. What he does is he takes an idea and creates the single best piece of content he possibly can. It will trump everything else that ranks on the first page for the chosen keyword. Then he gets the word out to industry professionals and anyone who he quoted in the content and anyone he thinks may be interested in it. With so many industry professionals and social shares, the content usually jumps to the first page of Google with ease and then eventually takes the top spot. Link development doesn’t happen overnight. It can be tedious, time-consuming, and expensive. If you don’t know what you’re doing, an error can get you penalized or even de-indexed with search engines. Sometimes, and often with link development, it’s best to leave matters to the pros. Cymax Media is the right business to help you progress your SEO plan. Get in touch with us today to find out how we can help.